Corporate rebranding: Into the wading pool or a deep dive? Branding—communicating in a uniquely emotive way who your company is and what it stands for—is a vital business practice in our new attention economy. In our age of social media and instant customer feedback, good products delivered at a fair price have become tablestakes. Branding can make all the difference, with big companies loosely grouped into three categories: serial tweakers, rebranders, and non-branders. Each camp approaches branding in wholly different ways, toward different strategic ends. Whether you’re a Fortune 500 company, nonprofit, academic institution, small business, or anywhere in between, how do you know which brand strategy is right for you? First, there are the serial tweakers. I’d argue that the healthiest brands belong to companies that purposefully tweak without over-twiddling. This is how to create a consistent yet evolving brand that survives C-suite shakeups, industry disruption, or market fluctuations. Let’s put companies like Apple, Marvel, and Coca-Cola - New Coke forever down the drain - in this category. Perhaps the most recent and strongest example of a legacy company that has embraced tweaking as a brand strategy is GE. The multinational conglomerate juggernaut saw the writing on the wall—many considered it a fusty, antiquated company—and used subtle branding shifts to transform its public perception from a "lightbulb manufacturer" to a transportation and machinery innovator. Each step of the way, the company’s brand values and philosophy were embedded into its business decisions and strategy. The company is continuing to tweak constantly to deliver meaningful experiences to audiences with company recognition, infrastructure, and scale the ingredients that allow GE to take this incremental approach even as corporate leadership changes. The second category of companies treat their brand as a mere marketing function that comes at the very end of the business chain. These organizations vacillate on their branding commitment with each new CMO and either go through serial rebrands or allow their brands to languish. I’d argue that these entities—which include the likes of Uber, Instagram, and Subway—give branding work a bad name: too often making branding work superficial—the affixing of a new sticker or logo—rather than the hard-won strategic and intellectual exercise it really is. An important negative example here is IBM. The computer giant grasped that its business needed to transform from hardware to a software, cloud, and services-oriented company. Massive, serial rebranding tied to each CEO era, however, has not made this transition either authentic or memorable. (Indeed, one might argue that Warren Buffett’s recent stock dump is primarily a result of the company’s big brand fail.) The trouble is that IBM product lines change names every few business cycles, following rather than leading the zeitgeist. A few years ago, several product lines became Pure. When IMB sold its X-series business, what happened to its Pure products? No one seems to know. Pure was just a word, not really a brand with special emotional resonance for audiences. IBM’s serial rebranding (e.g., Small Planet, Think, Watson) is helping neither its cause nor its stature. "My point is not that transformations can’t happen," Cringley recently suggested, "but that IBM didn’t transform the parts it should have, and now it’s probably too late." Positive examples of organizations that have gotten big rebrandings right include the YMCA rebranding itself the Y, and National Public Radio christening itself NPR. In the case of the Y, the iconic nonprofit had simply outgrown its name and offerings: it was no longer a male-only, Christian-focused organization, and had moved well beyond a traditional "gym & swim." Meanwhile, NPR adopted a nickname audiences had used for generations because, as its SVP of marketing and communications told The New York Times, "we are catching up to our audience." Finally, the third category relates to large companies that determine not to develop their brand experience at all. These entities usually exist on a purely transactional level—they can be great operators, but not inspiring or innovative organizations. How about CVS, which dominates from familiarity and omnipresence as opposed to building memorable brand experiences it alone can deliver? Rather than rethink its brand, CVS constantly adjusts its business and retail architecture to drive share value and compete with the Walgreens and Duane Reades of the world. And sometimes that’s OK: shoppers don’t necessarily expect to have epiphanies combing the aisles for Kleenex and cough syrup. The trouble with this as a long-term business strategy, however, is that a strictly transactional experience is no longer enough for most consumers. Another kind of example is parent ownership that remains behind the scenes, like Tata Motors, which owns Jaguar and LandRover (but not that you’d know it!). Brand immersion in the shallow end, a high-dive, or choose to stay out of the water altogether? In our experience, the great corporate brands are like gardens: they need constant care and watering, otherwise, they shrivel and die. 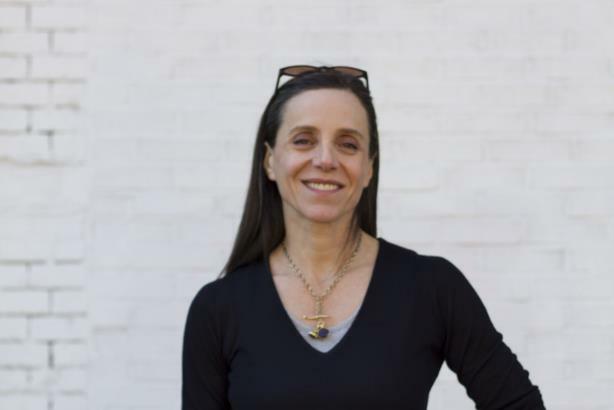 Andrea Katz is founder and chief ideonista at Ideon, a strategic brand consultancy in New York City.